I spent an incredible two weeks at Innovation High School in East Harlem for their intensive enrichment program. 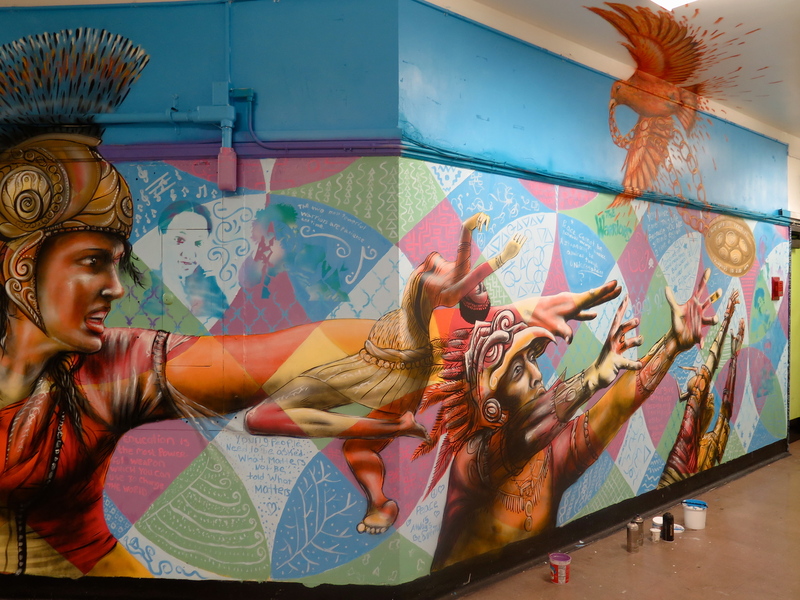 I worked with students and staff to create a mural in the school that featured warriors from a variety of cultures around the world, both male and female, in reference to the school’s mascot. 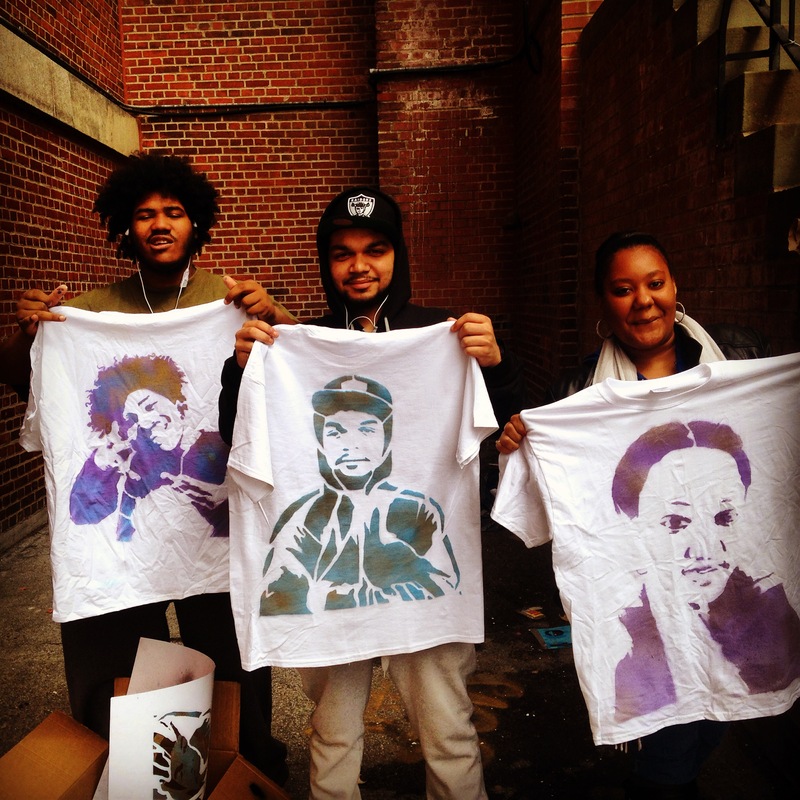 We studied public art, went on field trips to see murals and museums all around NYC, created stencils, made T shirts, and visited legendary graffiti artist Angel Ortiz (LA2) in his studio. Thanks to everyone who participated and to the school for inviting me! Writing messages in the mural.